The Budget SLP: Hey Diddle Diddle - What's in the Middle? Hey Diddle Diddle - What's in the Middle? was a favorite of my students. The words are fun to say. 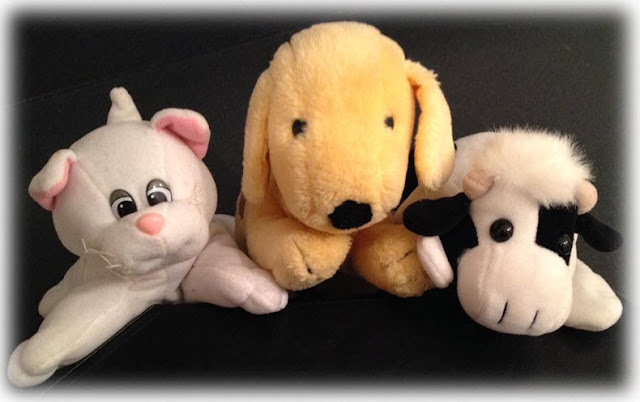 Just squeeze a dog, cat, and cow together and ask the students to respond to the question Hey Diddle Diddle, what's in the middle? They answer the question, pull the animal out of the middle, and repeat and/or reverse roles. There is a lot that you can do with the rhyme, Hey Diddle Diddle. My students pretended to be the characters in the story and used the action words jumping, running, playing, and laughing. Retelling, rhyming words, the phoneme /d/, and the concepts over and under are just a few of more of the skills that can be practiced. See the animated rhyme and play the games at Literactive and Inkless Tales. Also, look at the animated rhymes at Kids-Songs.TV (YouTube) and Playrific. There are a lot of good ideas and an emergent reader for this rhyme at Virtual Vine. Find story props at Kizclub. Check out the way that Karen Cox, of PreKinders, uses her printable Hey Diddle Diddle Cards in her classroom. At DLTK, find crafts, word wall pictures, and an Itsy Bitsy Hey Diddle Diddle Book. Carl's Corner has printable books, a sequencing activity, a matching game, and a story cube. This pdf from the Charles A. Dana Center at The University of Texas at Austin, tells how to use the rhyme, Hey Diddle Diddle, to teach kindergarten students differences between nonliving objects and living organisms. I found an interactive book and some printables at Boardmaker Achieve. As of today, there were 146 Hey Diddle Diddle activities and posters found at Teachers pay Teachers. Six were free.